IT is not for us to tell you that you have rights great and unalienable -- you feel that you possess them -- you have secured them in the face of every peril, and you never will tamely surrender them. As little do you need information from us that these rights are at this moment, menaced by a transatlantic power, formidable by its prowess, and terrible by its policy. WAR the greatest of all evils ought always to be avoided by every step short of meanness. But there is a line over which insult and injury must not pass unnoticed, and where to repel becomes a duty. With you, Fellow-Citizens, we ardently hope that this line is far removed. Of the importance of this State in the scale of the Union few are ignorant; and it certainly is of no little moment (especially at this eventful period) whom you name to fill its first ofices. Three years have elapsed since you called Mr. Jay to fill the executive chair: And permit us to ask you, whether in a single instance he has not been firm at his post, impartial, diligent and watchful? The committee nominated at a meeting held at Wendell's Hotel in Albany on the 23d ult. and where Judge Yates presided, in an address to the public, declared "that our agricultural produce is fallen; that our commerce is destroyed; that the people are distressed and discontented; that taxes are accumulating; that hostilities are in view with a FREE and a victorious nation; and that a disastrous alliance is comtemplated with Great-Britain," (& they might as well have added the late autumnal fevers, the severity of the past winter, & the devastations of the vernal floods) and then they call upon you to inquire and decide "whether the present Governor has any agency in these measures; whether he has not approved and supported some of the most important of them?" 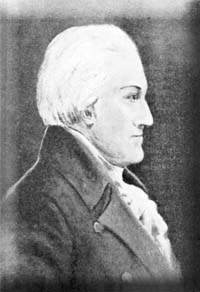 The Albany committee have not adduced a single fact to lessen your regard for Governor Jay; and, till his opponents produce facts, and prove them, his friends will never withdraw their confidence, or suffer their good opinion of him to be staggered by these or any other unfounded insinuations. This same committee have recommended Chancellor Livingston to be Governor, and mentions his "early and uniform revolutionary services; his great abilities; his private and patriotic virtues; and his unequivocal attachment to republican government." All this we are not disposed to deny. 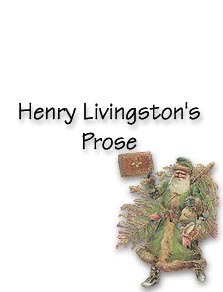 We are even willing to admit, that Mr. Livingston has long merited, and met the rewards and approbation of his country. But has not Mr. Jay early and uniform revolutionary services to show? Are his abilities not great? Has he no private and patriotic virtues? And is his attachment to republican government equivocal? Admitting that in these respects the candidates are equal, it is for you, fellow citizens, to inquire, whose attachment to the constitution of our country is the firmest, and who is most likely to hold by this anchor in the tumult of a storm. This nation may boast if she please, of an energetic executive, but must be perfectly mute on the score of FREEDOM. In our own country we often hear, and we hear with the pleasure of the freedom of the press; but in Paris, that focus of gallic liberty, the Directorial Seal has been put upon thirty presses in a morning. Drowning half a thousand men, women and children on scuttled hulks, may be rather more consistent with liberty on the banks of the Loire, than on the shores of the Hudson. Of the freedom which French cruisers take with our peaceable commerce we have too painful proofs. We should not perhaps have said so much about this Albany production; if it had not been adopted and sanctioned by a number of persons who convened it at William's Hotel on the 29th of March, and where it was unanimously resolved that the proceedings of the meeting held at Albany, and their committee's address should be published in handbills, and circulated for your information. Here it is proper to notice an accusation of "an attempt to revive distinctions and to excite animosities," which was made by the meeting of which Judge Paterson was chairman. The charge is exactly suitable to the fertile spirit of opposition. The party whence this denunciation originated have shewn an apparent disposition to unite only in the comparatively unimportant nomination of Lieutenant-Governor, and three members of Assembly. They have followed the Albany nomination of Chancellor Livingston for Governor, and in their own nomination of representative in Congress, of Senators, and of seven members of Assembly, they have afforded no evidence of a reconcilatory temper. The party therefore cannot be sincere in their professions of harmony and union. These protestations are nothing more than proofs of art and intrigue. The gentlemen beforementioned at Mr. Beadle's recommended to your notice Mr. Van Rensselaer as Lieutenant-Governor. His merit and virtues are unquestionable; and as he is in the nomination of those who are promoting the election of Mr. Livingston, there can be no doubt of his continuing in the place he so honorably fills. Of Mr. Brooks, our present Representative in Congress, we can truly say, that nothing has come to our knowledge either by the printed debates or otherwise, that ought to lessen him in your esteem. If firmness; if information; and if attachment to the constitution of our country, are recommendations, we think this gentleman posesses them; and that he will continue to merit your favorable opinion if you again honor him with your confidence. Mr. Foote, of Delaware couny, is proposed to you as a Senator for the Middle District. This gentleman has long been a member of our legislature, has been much esteemed for his manners, his virtues, and his abilities. The gentlemen held up to you as representatives from this county in Assembly, we hope will meet with your approbation and support. You know them; and if you honor them with your suffrages, we believe you will not bestow them improperly. AMERICAN INDEPENDENCE was solemnly announced by the national voice two and twenty years ago. With this in view our heroes bled, our sages legislated, and ten years have elapsed since that Constitution was ratified which it is our pride to call OUR OWN. Under this Constitution you have enjoyed ten years of security and happiness and you too well appreciate its merits to suffer it to be undermined by the practices of domestic, or crushes by the violence of foreign foes. Those citizens who are ever decrying the operations of our government, whom no measures can please, and no movement can satisfy, ought with caution to be made directors of that machine whose construction they affect to dislike. Fellow citizens; as you love your country, doubly your own by birthright and by conquest, love too that constitution which is the tye that makes us a great people, and in every man you name to office, add a link to that golden chain. N.B. The committee, pursuant to the direction of the meeting which they represent, give notice that the friends of administration in the county of Columbia, have nominated JOHN LIVINGSTON as an additional candidate to represent the Middle District in the Senate of this state.